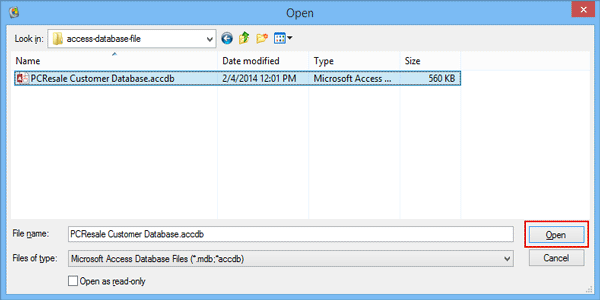 Microsoft Access database is the most widely used for many purposes like maintaining records of an organization. But, sometimes it might get corrupted or generate some errors, which becomes difficult for the users to resolve. MS Access Error 3045 is the most common error encountered by the users. It mainly appears when a user tries to open the database files that are already in use by another user or instance of MS Access. Another possible reason behind this error is that any other user has made some changes in the database. For example, edit the modules that move database in an exclusive mode or a user has tried to open the database in the exclusive mode. Therefore, if a user wants to fix MS Access error 3045, make sure that all instances are placed in the same MDW file. 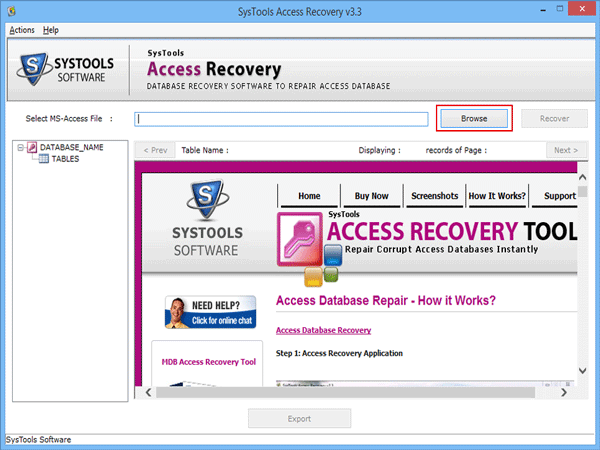 If a user still finds any difficulty in accessing the database, then he or she can go for MS Access Recovery tool. It repairs corrupt or damaged ACCDB & MDB file of the database without any limitation. How Error 3045 Messages Encountered? When Error 3045 encountered, it crashes the active program window completely. If your computer crashes again and again while running the same program, then it is due to error 3045. It simply displays Microsoft Access Error 3045 message on the screen. MS Windows runs or responds slowly to the input by mouse or keyboard. If your system freezes periodically for some seconds at a time. When MS Corporation associated software program (like MS Access) is currently running. While starting up and shutting down MS Windows OS. Installation of Microsoft Windows OS. Moreover, keeping all record of when and where 3045 error has occurred is a very important piece of information for troubleshooting all problems. A user has downloaded corrupt or incomplete installation of MS Access software. Corrupt Windows registry because of recent MS Access-based application change. Corrupted Windows system file or Access related program files because of any virus or malware attack. If MS Access related files get deleted accidentally by any other program, then also this error will encounter. In order to resolve MS Access error 3045, one can directly switch to MS Access Repair Tool. It fixes all the errors and recover any type of damaged, corrupted, inaccessible ACCDB and MDB file. 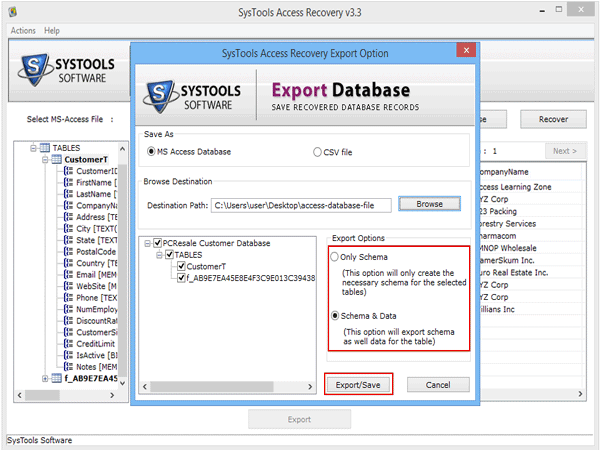 In addition, the tool will not only repair corrupt database but also provides an option to export it MS Access database file or CSV file. Apart from all this, the tool will restore all data items stored in MS Access database file like queries, tables, forms etc. Microsoft Access must be installed on the local to perform recovery. 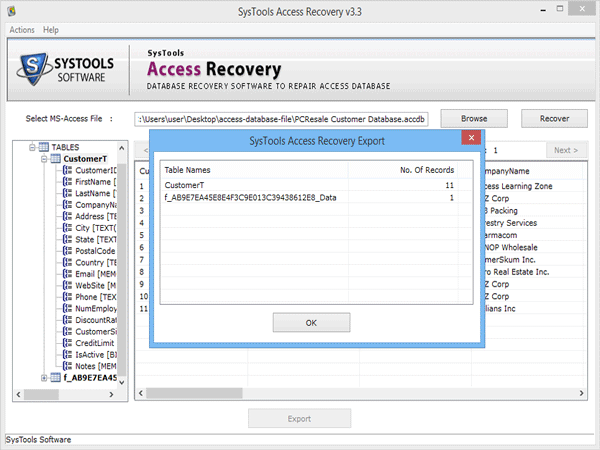 Launch the Access Repair tool and click on Browse button to choose the file. After choosing particular file to repair, click on Open button. After that, the tool will provide the preview all recovered data items. 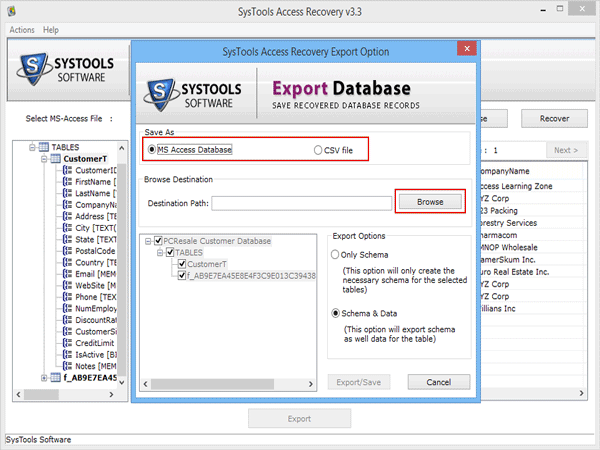 After this, the software will successfully export the recovered MS Access database files. Considering the requirement of users to repair corrupt Access database or to fix MS Access error 3045, we have first understood the exact reason behind it. After that, a professional and one-stop solution is suggested named as MS Access Repair Tool. 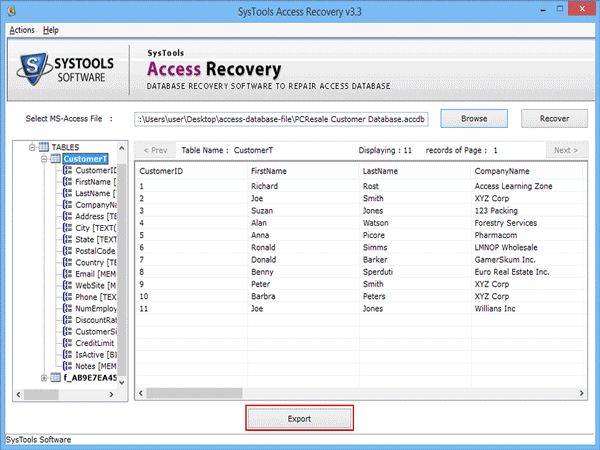 Using this application, one can easily recover data from any type of damaged MS Access database file in just a few number of clicks.